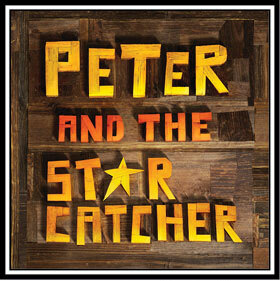 The Coeur d'Alene Summer Theatre presents Peter and the Starcatcher for 8 performances now through Sunday July 3 at Coeur d'Alene's Kroc Center. Peter and the Starcatcher is the humorous and fantastical backstory of the beloved character Peter Pan and his arch-nemesis Captain Hook. Based off the book written by humorist Dave Barry and novelist Ridley Pearson, it was adapted for the stage by Rick Elice (co-writer, Jersey Boys). In this 5-time Tony Award winning play, a dozen brilliant actors play more than 100 unforgettable characters using their enormous talent, ingenious stagecraft and the limitless possibilities of imagination. Get tickets and more information at www.cdasummertheatre.com. 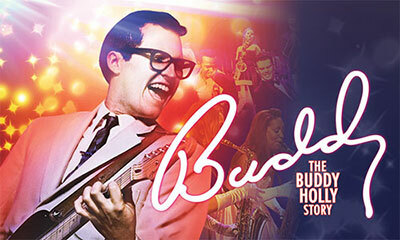 It's Buddy: The Buddy Holly Story at Spokane Valley Summer Theatre Thursday, July 7 through Sunday, July 17. There will be nine performances including matinees. Go to svsummertheatre.com for info and tickets. The Northwest Museum of Arts and Culture has a special exhibit featuring the Photography of Erv Schleufer, 'The Light We Cannot See,' which features beautiful and haunting images of Native Americans experiencing Pow Wow. 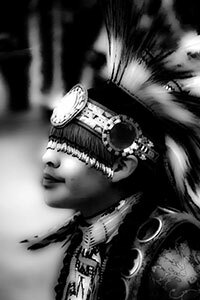 Schleufer, who was born in Spokane and is a member of the Coeur d'Alene Tribe, did research on infrared photography and his skill with photographic software has allowed him to create a truly remarkable artistic documentation of the Pow Wow. This unique and must-see exhibit is on now and runs through September 4. Manito Park Bench Cafe is open for the season and continues this year with their Friday Free Summer Concert series. This Friday, June 24, enjoy the music of Blue Water Strangers from 6-8pm. Great snacks, sandwiches, salads, ice cream, espresso drinks and more are available for purchase. Beer from No-Li Brewhouse also available for purchase during concert hours. The biggest names in gymnastics will be coming to the Spokane Arena for the 2016 Kellogg's Tour of Gymnastics Champions on Thursday, September 15. Three-time World all-around champion Simone Biles, 2012 Olympic team and all-around champion Gabby Douglas, 2012 Olympic team and floor exercise champion Aly Raisman, 2008 Olympic all-around champion Nastia Liukin and 2012 Olympic team gold-medalist Jordyn Wieber headline the cast of the tour. Tickets go on sale this Thursday, June 23 at 10am and are available at the Spokane Arena Box Office and at www.ticketswest.com or 800-325-SEAT. 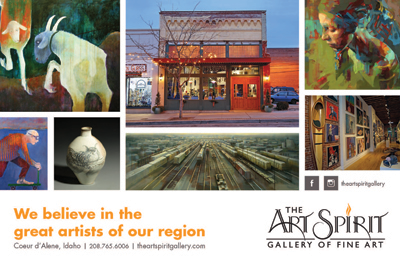 This Thursday, June 23, guitarist/singer/songwriter Jacob Cummings is guest musical artist at Arbor Crest Wine Cellars, and Jewelry by Tracey Hardy will be on display. On Friday, June 24, enjoy the music of Champagne Jam with a contemporary mix of rhythm and blues. Both Thursday and Friday concerts run from 5:30-7:30pm, no cover. This Sunday, June 26 Country music performer Devon Wade Band takes the stage for Concerts on the Cliff. Music runs from 5:30 to sunset. There is an $8 cover charge. And mark your calendars for Arbor Crest's 4th Annual Stage 2 Stage Music Festival, Saturday, July 2 from noon to 8pm. With eight hours of non-stop music, there will be something for everyone! Free admission. Featured performers include Karrie O'Neill, Butterscotch Blonde, Haley, Young & the Champagne Jam, and Grand Avenue. 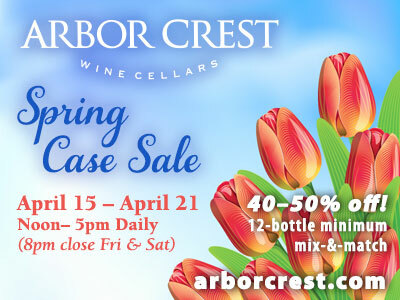 Food, wine and beer are available for purchase. The hottest part of the year, by Jennifer Evans, is Bozzi Media's Hot Summer Nights. 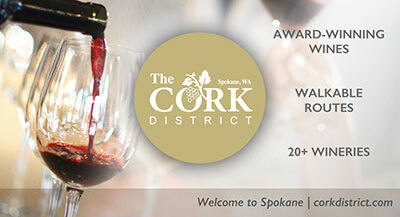 It's at Arbor Crest Wine Cellars on Friday, July 22. Get details at bozzimedia.com. Contact Ticketswest at www.ticketswest.com or 800-325-SEAT and don't miss this fabulous event. The Kiss: Freedom to Rock Tour comes to the Spokane Arena on Friday, July 15 at 8 pm. Ticketswest has your seats at www.ticketswest.com or 800-325-SEAT. 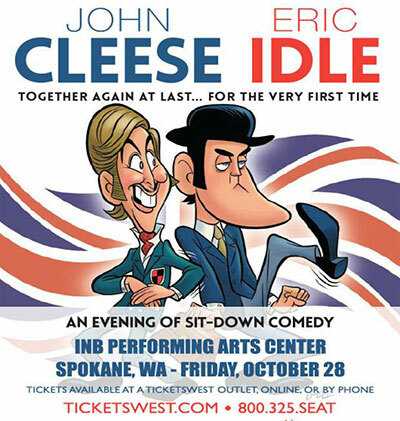 Still together again, Britain's living legends of comedy, John Cleese and Eric Idle, announce their must see show 'John Cleese & Eric Idle: Together Again At Last...For The Very First Time' at the INB Performing Arts Center on Friday, October 28 at 8pm. As founding members of Monty Python, Cleese and Idle are unarguably among the godfathers of modern comedy, helping to pioneer an irreverent, absurdist sensibility that is emulated by comics around the world. As individuals, they have written, performed and produced some of the most beloved and critically-acclaimed shows of all time like Spamalot, A Fish Called Wanda, Fawlty Towers and The Rutles. On Sunday July 3, at dusk, Friends of Pavillion Park will present the movie Kung Fu Panda. Then on Monday, July 4 the music starts at 6pm with No Body Famous playing your favorite Jimmy Buffett tunes along with Tuxedo Junction, a 19-piece big band playing classic swing, Latin styles, waltzes, and modern rock arranged for big band. It's all part of the 19th Annual Summer Festival hosted by the Friends of Pavillion Park. At 10pm it's fireworks from Pavillion Park. 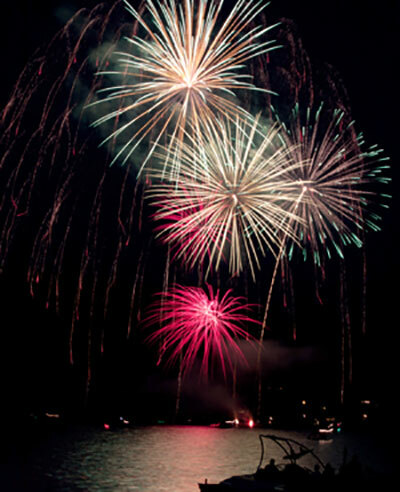 The City of Liberty Lake is sponsoring Fireworks and will be staged just three blocks away. Admission to all performances is free. Audiences are encouraged to show up with family and friends prior to the appointed start time with low back chairs, blankets, a picnic supper and enjoy the evening. Concessions will be available through the Liberty Lake Kiwanis.